Let’s face it. There is nothing worse then getting on a flight and realizing that you forgot to pack something. It’s actually tragic. With all of our traveling, I have learned to perfect my carry on bag to have the necessities to keep me happy and comfortable during the flight. Here are a few of my must haves! 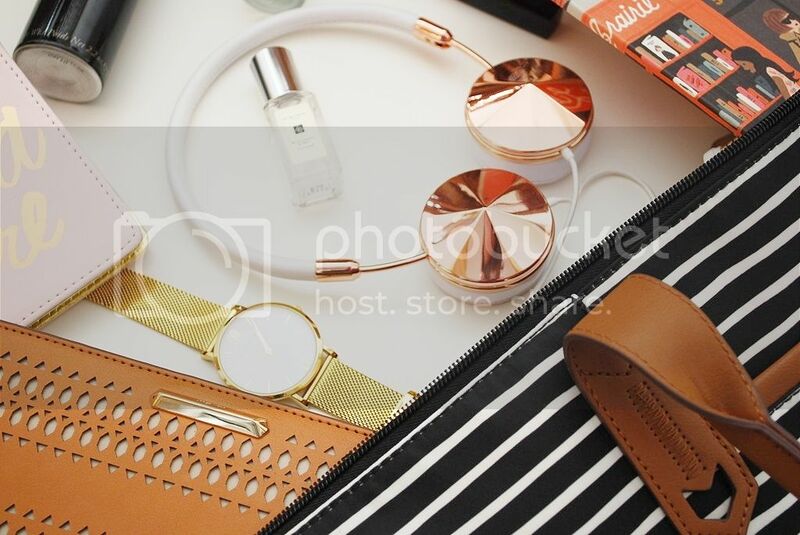 First off, let’s talk about the bag, which is probably one of the most important essentials. I’ve traveled with many bags, some being to bulky, some not big enough, some too hard to carry and some that have actually broke on me mid travel. 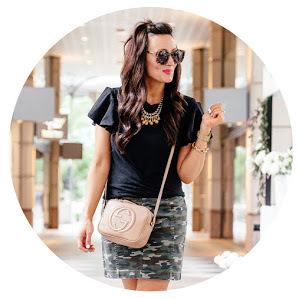 The bag that has worked the best for me the past two years is the Stella & Dot Getaway Bag. Not only is this bag the perfect size, it comes in so many cute colors and patterns. My favorite patterns right now are this one & this one. One of the greatest qualities of this bag is that it expands to a bigger size if needed. There are always those trips where you pick up a few extra souvenirs that you can’t fit in your luggage – just unzip the bottom of the carry on and viola! Room for many more souvenirs to bring home! I also love traveling with this adorable pink & rose gold passport holder. It makes finding the passport in your bag so much easier and it looks so cute while going through security! It also has a slot on the inside for cards or for your boarding pass if needed. Entertainment during the flight is key while traveling, at least for me. If I’m bored, the flight always seems ten times longer! My FRENDS Headphones are my absolute favorite headphones for traveling because they are compact, fold to fit into a small bag and are just gorgeous! I always make sure to bring with me either my ipad mini for watching movies/listening to music, a fun magazine or a good book. Usually I rotate through all three during a flight to switch things up. I talked about some of my favorite current reads in this post here if you need some book inspiration. I also always make sure to bring some sort of notebook on a trip for jotting down notes of places we visited and restaurants/shops/sites we loved. Rifle Paper Co is my go-to for cute notebooks. 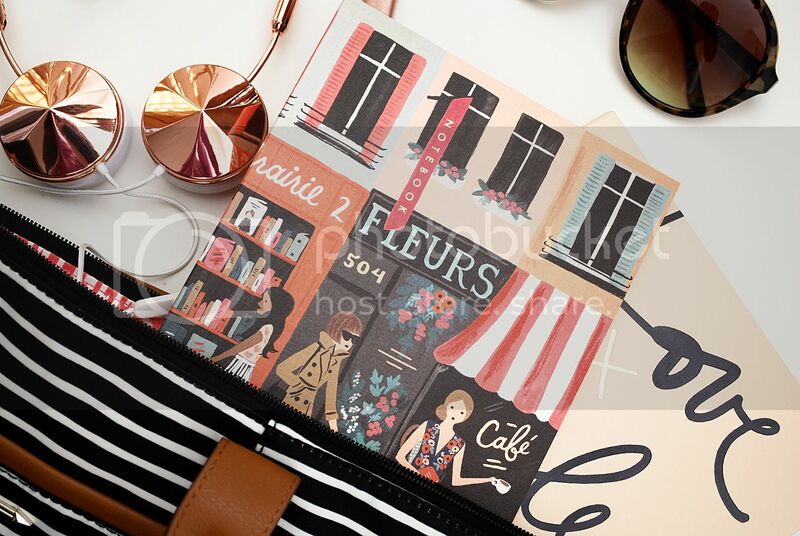 These pocket notebooks are perfect for sticking in your purse on the go and these bigger Parisian notebooks are what I put in my carry on bag for notes and such. Carrying essentials for AFTER the flight in your carry-on bag is a must. After I get off a flight, my first stop is the bathroom where I freshen up a little bit. (Bryan & I usually hit the ground running once we land in a new city, sometimes going to site see before hitting the hotel!) And if you’ve checked luggage, you have about 10-15 minutes to spare anyways! I always make sure to pack a small perfume (usually Jo Malone’s Blackberry & Bay), hairspray to freshen up those airplane fly aways, lipgloss (duh! ), hand lotion because the airplane drys your skin out and my favorite Caudalie Beauty Elixir Spray. Those 5 little beauty items always make me feel put together & freshened up after a long flight. Also, don’t forget to always make your sunnies easy accessible in your bag so that you have them once you are out and about! Where are you headed next? I can’t wait for our next trip! Happy travels! I love that cute passport holder and that notebook! <3P.S your pictures are eyecandy.